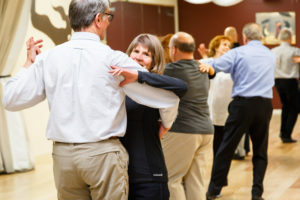 Destiny Dance Studio is the perfect place for couples activities near Denver and Highlands Ranch. Whether you are a new couple or have known your partner for a large chunk of your life, our dance classes provide an adventurous experience. We offer group dance classes in several different styles and are available for all levels of dancers! For the best couples activity just south of LoDo, grab your partner and join us for a great night of dance and enjoy a FREE GROUP CLASS! Check out our calendar below to see what classes are available when you are! If you need more information about our dance lessons or our Littleton studio, feel free to give us a call at (303) 738-5542 or email us at Startdancingtoday@mydestinydance.com.